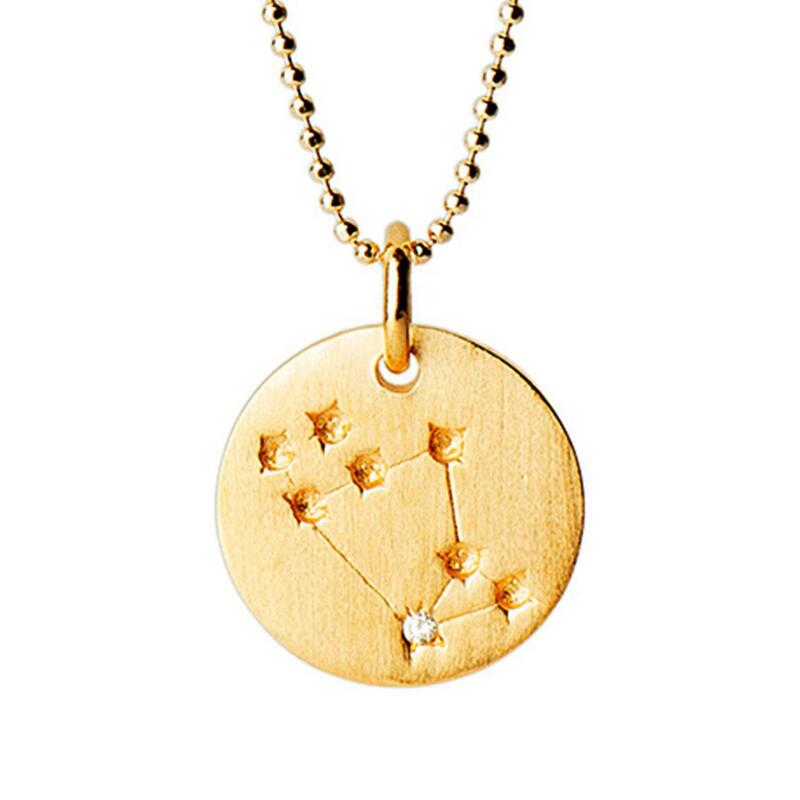 Leo constellation star map necklace, available in sterling silver and gold plating. 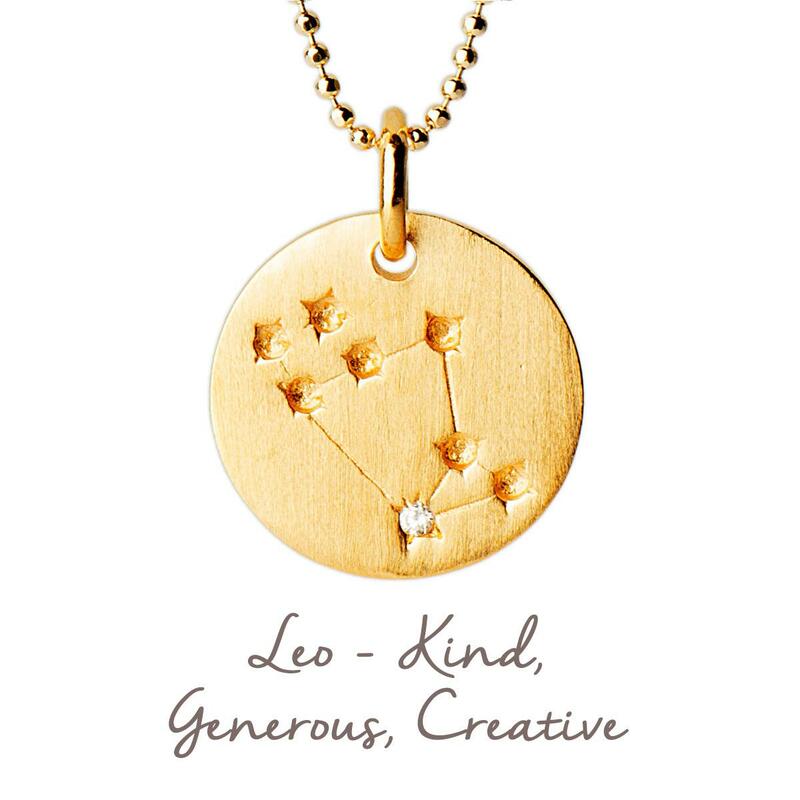 This beautiful zodiac necklace is engraved with a personalised star map design, featuring Cubic Zirconia detail, and reflects the order of the stars upon the wearer’s birth. 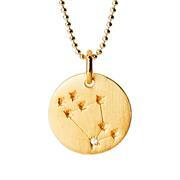 Perfect gift for birthday | friendship | anniversary | new arrival | christening. 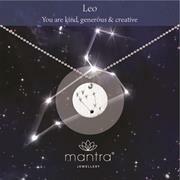 Leo is a fire sign, symbolised by the lion. 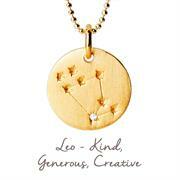 Those born under Leo (22nd July - 22nd August) are bold, courageous and daring, and so make natural leaders. They also have true star quality and love being in the spotlight. A mantra is a sentence or phrase which has a powerful effect on our mindset and mood. It is always phrased as a positive, encouraging us to be our best selves. Bringing to mind, or saying a mantra out loud, motivates and lifts us. 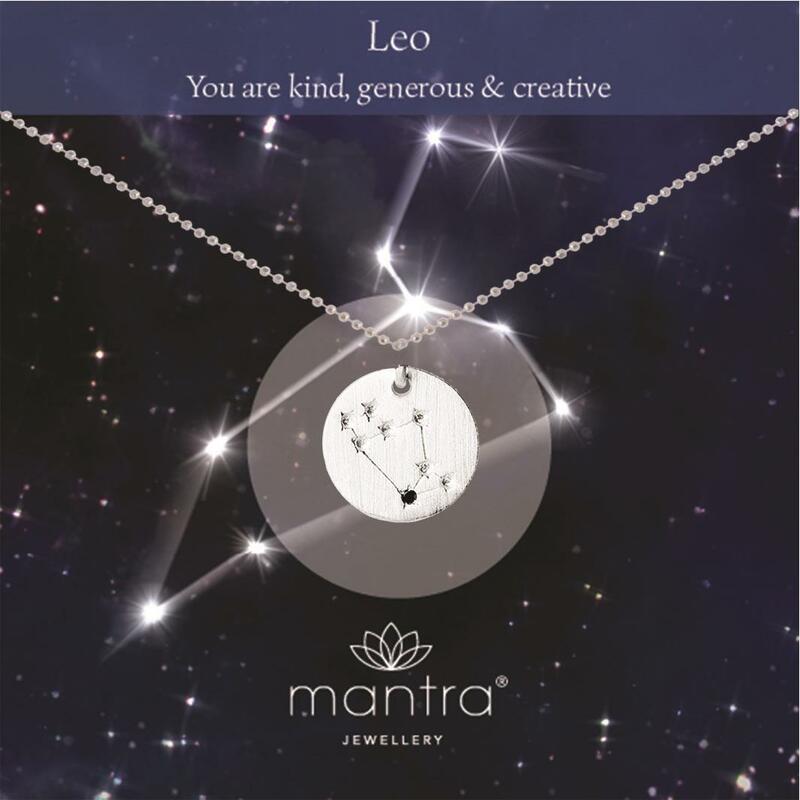 Each piece of Mantra Jewellery has its own mantra, for you to call to mind when you wear it. 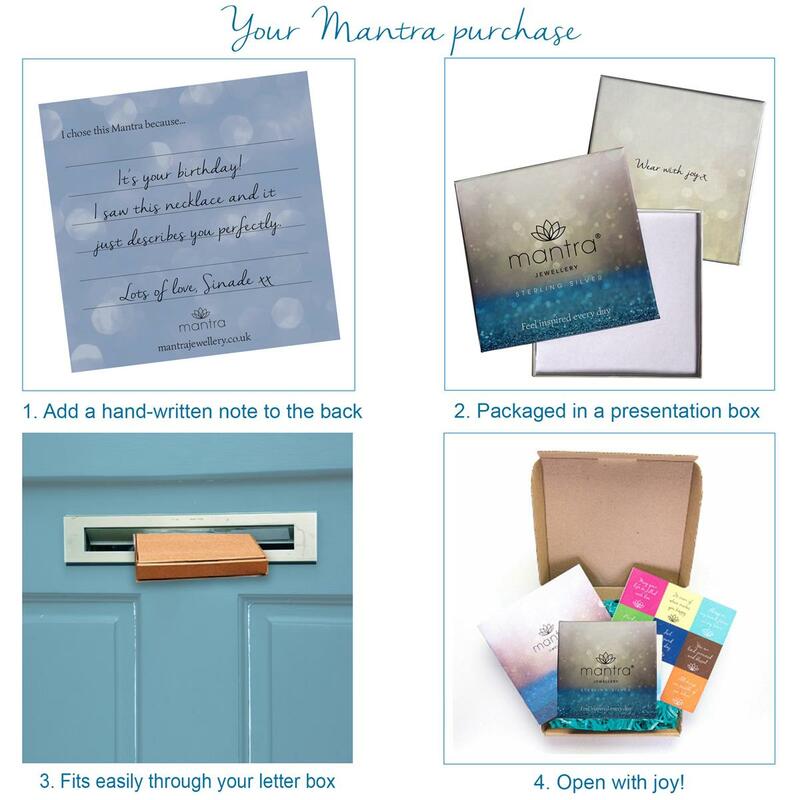 Enjoy wearing Mantra Jewellery every day, to bring you a sense of joy and happiness.